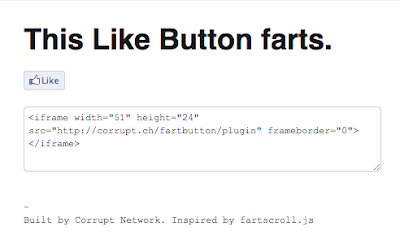 Juvenile alert: you can embed a like button on your site that farts. Yes. This exists. You can get the embed code and give it a test run here, but should you choose to use it is at your own discretion.